Aspiring to become your one stop consumable shop. Same Day Dispatch - T's & C's apply. Microstar has a special stearate layer and a smooth film backing. This product has a high quality finish and lasts longer as it doesnÕt clog as easily as traditional products. 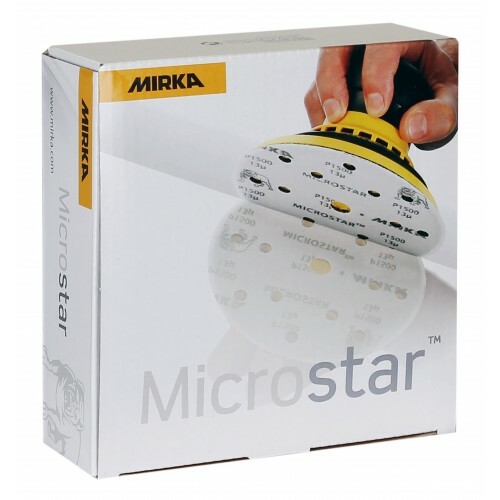 Microstar produces a fine scratch pattern that is easy to polish out. For a perfect result, it is recommended to use Microstar with a 5 mm interface pad. Microstar is developed for dry sanding only.